Mazda Forum > Mazda Model Discussion > Mazda6 > Acc wire?? I am installing 8 parking sensor system in my 2004 Mazda 6. I have run all the wires but I am bloody stumped on how to pick up an acc wire. 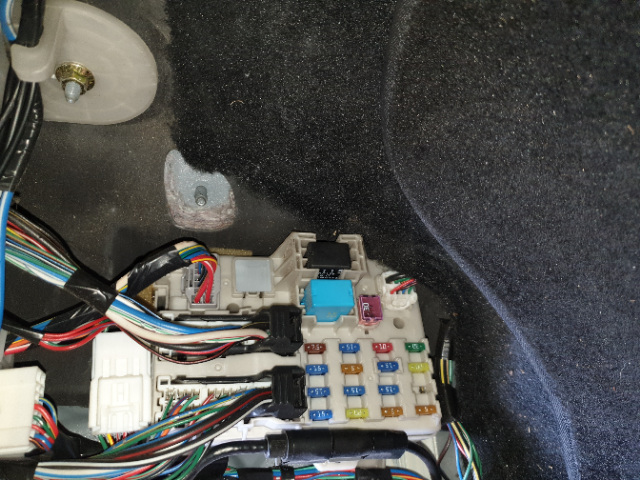 The parking sensor unit requires an ACC power ignition connection. I am trying to do it with the minimum amount of hassle. I am handy with stuff but I am not an auto electrician. I can use a multimeter. I have a wire already run to the fuse box that is inside the car on the passengers side. I would prefer to not to have to strip out the steering to find the acc wire there. Can anybody point me to where I can get the acc ignition from the loom beside the fuse box or the fuse box itself?, failing that can you point me to the best location?